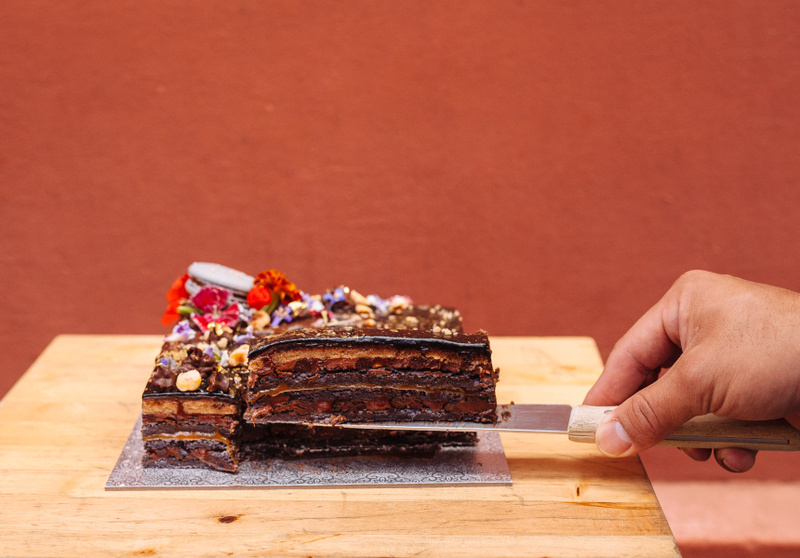 MakMak and Bakedown Cakery have opened a city store together. When Bakedown Cakery’s Jen Lo met MakMak's Carlos Heng and Dan Pigott during a macaron-making class, sparks flew. Although constantly busy with pop-ups, market stalls and with a social-media reach of over 70,000, Lo was keen to try a collaboration. “It felt organic, and things happened very quickly,” says Lo. Their new store, MADE, opens this week. Lo’s striking cakes experiment with colour and texture – they are inspired by her background in design. She also produces chocolate blocks visually inspired by Jackson Pollock. She runs the business with her husband, Nick Simpson, but has never had her own retail space. 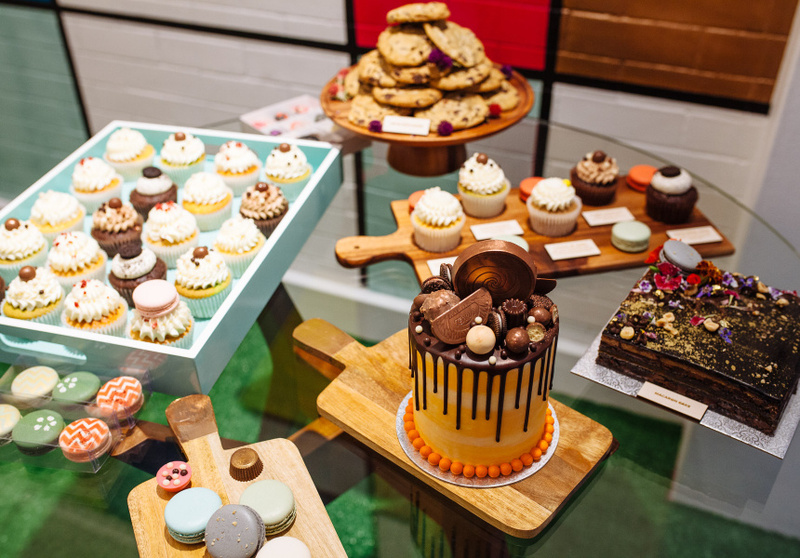 Those well versed in Sydney’s sweet scene will know that MakMak makes some of the best macarons in the city – flavours include Coke Spider and Banana and Rhubarb Split. MADE, named to reflect the handcrafted nature of the desserts, will open in a converted police cell in Clarence Street’s Gaffa Gallery. The shop has a quirky, colourful design: a huge Mondrian-inspired mural takes up an entire wall in the tiny space, and the floor is covered with Astroturf. MakMak and Bakedown Cakery each have a large online presence, but they find that customers often need to experience the product physically to be sold on it. “It’s often hard to sell your personality fully on social media. When customers come into a physical space, they can buy into what we have to offer. They can see and taste the quality of our products, and appreciate it in reality,” says Heng. There will be three seasonal collections of macaroons in store per year, in addition to limited-edition flavours. The 36-hour Belgian dark-chocolate-chip cookies are also available. They are made with dough aged for 36 hours to fully hydrate dry ingredients for superior texture and flavour. A range of Lo’s cakes will be available to try as well as to buy. Also on the cards is a Frankenstein-esque macaron-cake collaboration. It’s a cake made with macaron ingredients. 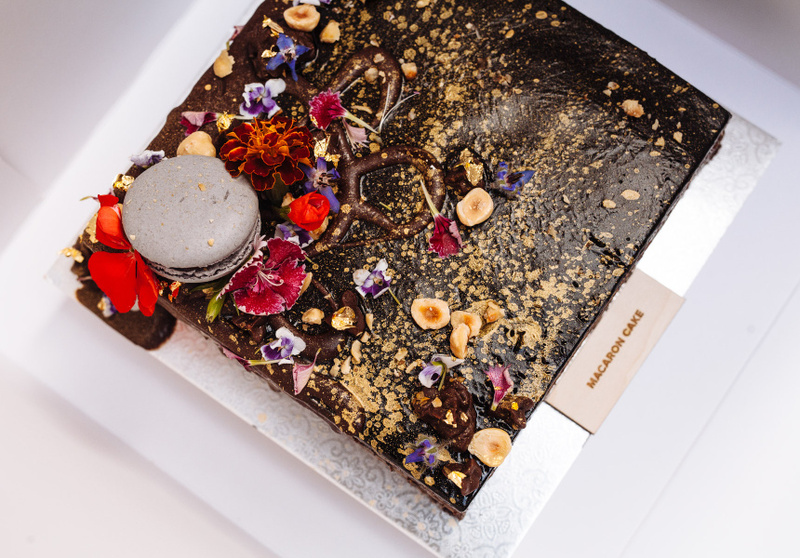 The cake will include layers of macaron sheets with ganache, buttercream or caramel (depending on the flavour), and covered in a smooth glaze. The MADE by MakMak and Bakedown Cakery store will be open on Wednesday April 27.